God is restoring the prophetic ministry in the Church today. From believers learning how to flow in the gift of prophecy, to men and women being raised up as ministry gift prophets, there is a reviving of prophetic ministry in the Body of Christ all over the world. The prophetic is not only about hearing and speaking, it is about hearing and doing what God wants done here on earth. God is raising up prophetic believers who not only serve within the local church, but also prophetic believers who are affecting the marketplace through practical ideas and strategies they have received from God. God is raising up prophets like Joseph and Daniel who will represent Him and be His prophetic voice in the high places of the earth today. 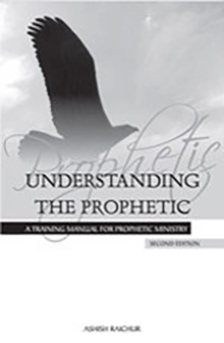 This training manual is designed to equip believers,stir up the prophetic in them and enable them to develop a strong prophetic ministry in whatever vocation they may be.